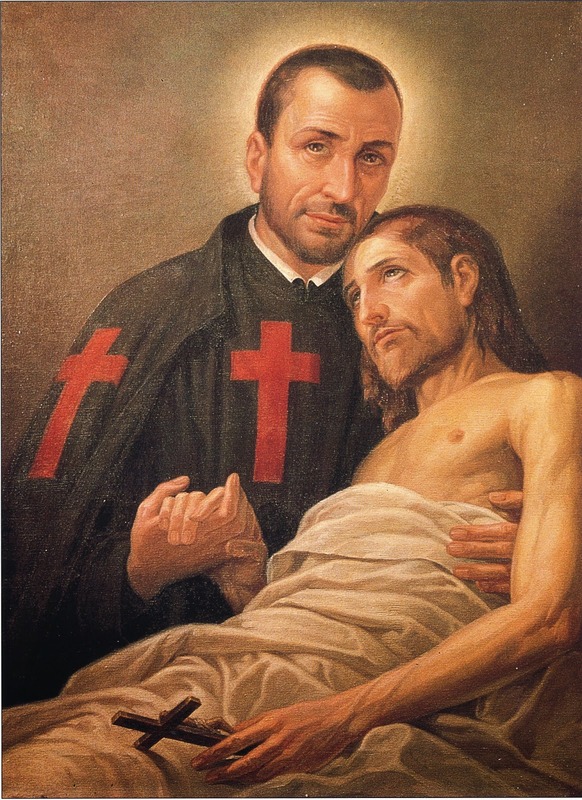 O glorious Saint Camillus, special patron of the sick poor, thou who for forty years, with truly heroic charity, didst devote thyself to the relief of their temporal and spiritual necessities, be pleased to assist them now even more generously, since thou art blessed in heaven and they have been committed by Holy Church to thy powerful protection. Obtain for them from Almighty God the healing of all their maladies, or, at least, the spirit of Christian patience and resignation that they may sanctify them and comfort them in the hour of their passing to eternity; at the same time obtain for us the precious grace of living and dying after thine example in the practice of divine love. Amen.